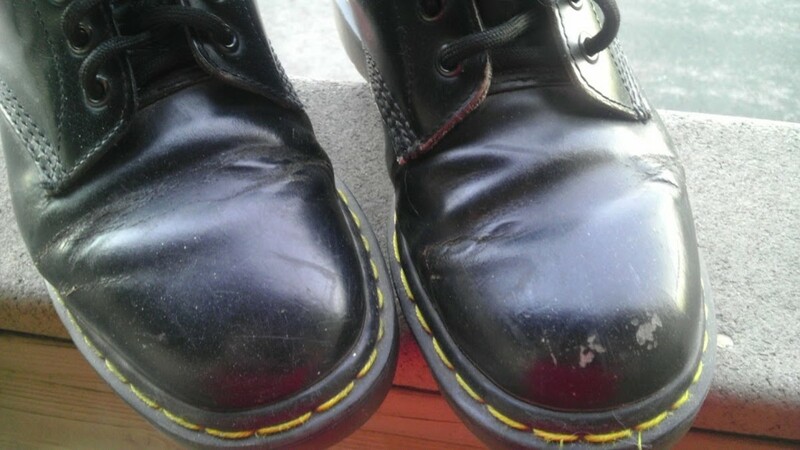 Audrey shares her tips on keeping suede looking like new. Real or imitation, suede adds an accent to the wardrobe. As we go shopping for wearing apparel, we have more choices than ever in fabrics. With so much available to us, most individuals agree that nothing can compare with the look and feel of suede. But there is a downside to this great looking fabric. It is susceptible to stains and spotting. Knowing how to maintain the softness and keep your suede clean and looking new will assure you longer enjoyment of your product. Real leather suede is usually made from the underside of an animal, and the material is buffed to a high sheen. It's supple, warm and less expensive than leather, but also less durable. Washable suede, especially the synthetic kind, is a longer-lasting fabric that can be an excellent choice for an elegant, but not overly-expensive look. It is frequently used to make women's and men's jackets, gloves and other fall, winter and spring wear. Imitation suede can be comfortable, beautiful, easy to wear, and impervious to water. That said, it is important to only launder washable suede, as real, non-washable suede does not mix well with water. To know whether your suede garment is washable, be sure to check the label, or get the advice of an expert. Although the cleaning instructions may vary depending on the manufacturer, faux suede can typically be placed in a washing machine along with other laundry at a cold water setting. 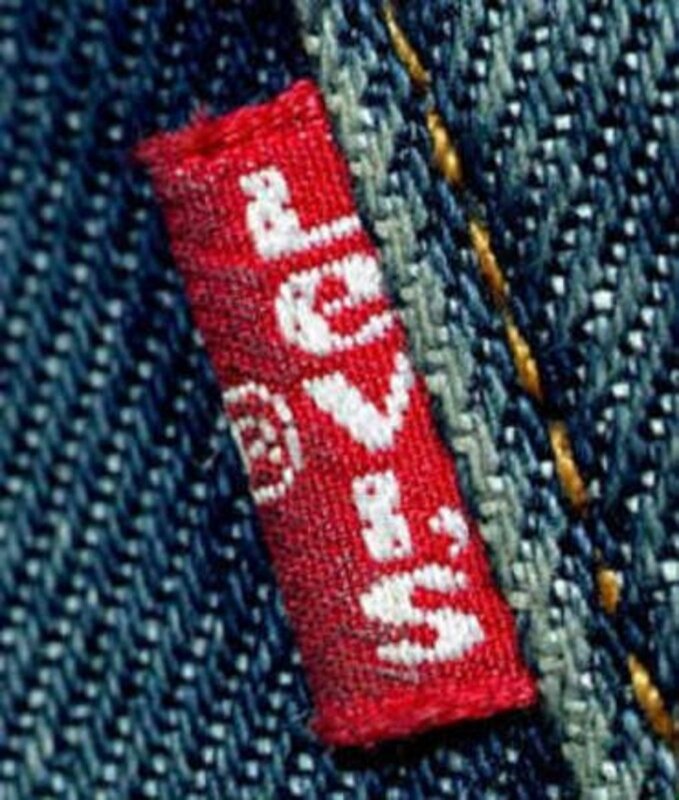 Even heavily stained articles will generally come out clean using the same stain-removing techniques as on any other garment. 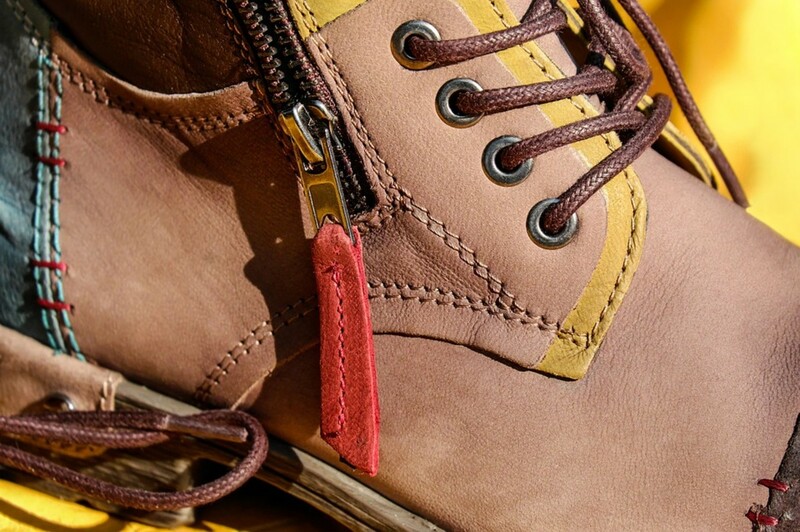 This article is directed to real leather (suede). Warning: If you choose to use a chemical suede cleaner, protect your lungs by wearing a mask. Always provide ventilation in the area you are working in. Keep all cleaning products away from children and pets. Store in a high place. A suede eraser is wonderful for removing stains and marks. When the fabric gets that "shine", and you want that nap restored, just use the eraser or a towel. Always use a gentle touch. Note: A clean towel should be rubbed against the suede until the nap has all been "fluffed" up. Bringing up the nap exposes more of the surface and loosens any dirt particles embedded in the nap. Next, use a pencil eraser or suede eraser to rub out any visible stains. If the suede is recently wet, let it dry and then try using the suede brush or bath towel. If suede shoes get wet, insert crumpled paper into the shoe to maintain the shape as they dry. Do not apply heat to speed the drying. Stain removers should never be used when cleaning suede, but if stains remain after the eraser attempt, a slightly damp towel can be used to rub against the stain. 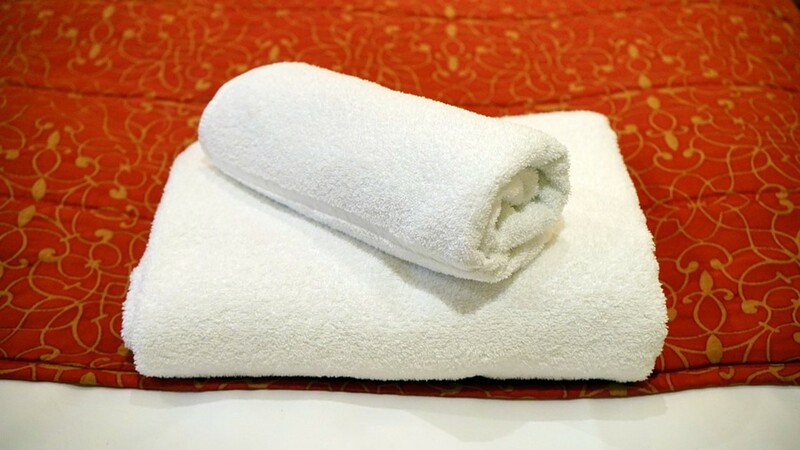 White vinegar can also be mixed with the water used to dampen the towel, but be very careful not to soak the towel. Just a bit of water and vinegar should be applied. When this is done, wait for the suede to dry. Colors in suede fade quickly, and it’s best to store them in the dark. Make sure it’s not damp, because the moisture will attract mildew, and mildew is very difficultto remove from suede or any other kind of leather. Never store or transport suede in plastic as the suede may dry out and crack..
Use a waterproofing agent designed for suede to provide additional protection which can be purchased at most shoe and leather shops. This is a must. Prevention is the key when cleaning suede. If you should get wax on your garment, put it in the freezer until you can break off the wax and then use the suede brush (or toothbrush) to gently lift up the nap. Using a little windex for ink stains has been proven successful for many. Stale bread will rub out stains on suede. Do not try to clean suede using water. Water can spot suede, or alter its appearance. Keep in mind that we are talking about real leather, not nubuff or imitation. Different directions apply for those types. If all else fails, you may want to take your suede items to a professional cleaners. But one thing is for sure - the feel of Suede next to your skin will leave you singing for joy. I learned this tip from my mother when I was in high school. 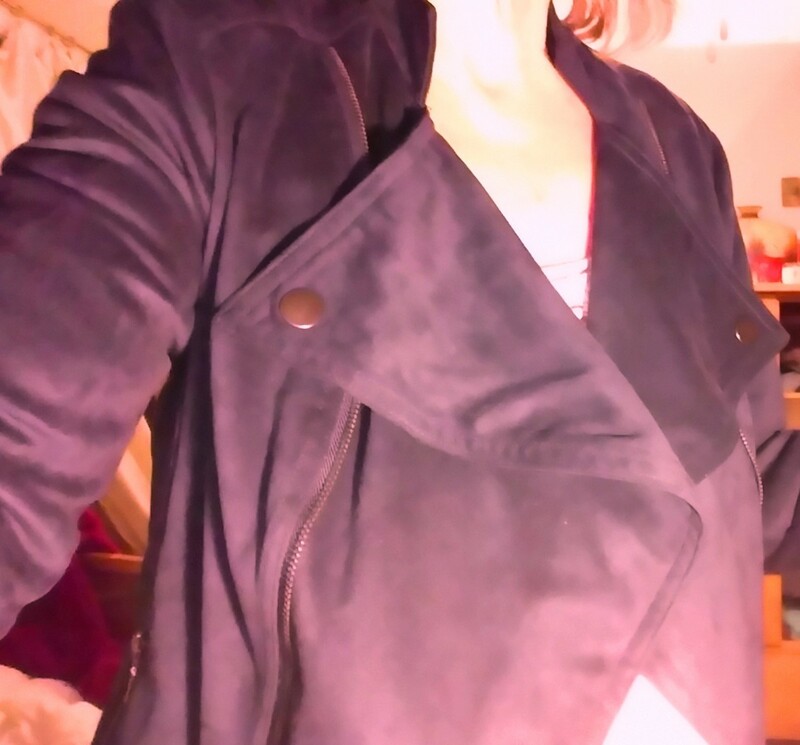 I had worn my new suede jacket to school. It was a birthday gift and I was proud to show it off to my friends. During lunch I spilled olive oil on my jacket sleeve as I whipped up my salad dressing. I stood close by to watch the process. First she laid a towel on the table and placed the jacket on the towel. Then, using a clean paper towel, she began blotting out access oil. After the last drop of oil was gone she covered the stain with a thick layer of talcum powder. She made it clear that the powder must stay on the stain for 12 hours. This gives the powder time to absorb the oil particles out of the fabric leaving it stain free. Brush off the powder using a wire bristle brush. Cornmeal can be substituted for talcum powder. Which clothing items do you prefer when made of suede? Oil or Grease - Using cornstarch, sprinkle a little on the stain. Let this set overnight to soak up the oil. In the morning, brush away the powder then follow by lightly wetting the stain with a damp brush and simply brush the stain away. Wax or Gum - Place the suede item in the freezer to harden gum or wax. Then break the wax or gum off in chunks and finish by brushing away smaller particles. Water Stains - Using a damp brush, to lightly wet the stain, soak up any excess water with a paper towel. Be sure to let the item dry overnight. Don't dry in sunlight as this may cause the color to fade. Mud - Allow the mud to dry before cleaning your item. Once it dries, break the mud off in chunks. Brush away any smaller pieces of dirt. Ink - Using a paper towel, dab at the ink to absorb as much stain as possible. If the ink has set, try rubbing alcohol to lift the stain. If you have a suede eraser use it to continue scrubbing. Blood - Just pour a bit of hydrogen peroxide on a paper towel and lightly dab at the stain until it comes out. I always make it a practice to use a suede protector on my new items. It really works! Suede has reinvented itself in a variety of ways over the years. We have more choices now than ever before when it comes to choosing fabrics and styles. I personally prefer alternatives to suede. Being an animal activist I avoid all products made from animals (including food.) 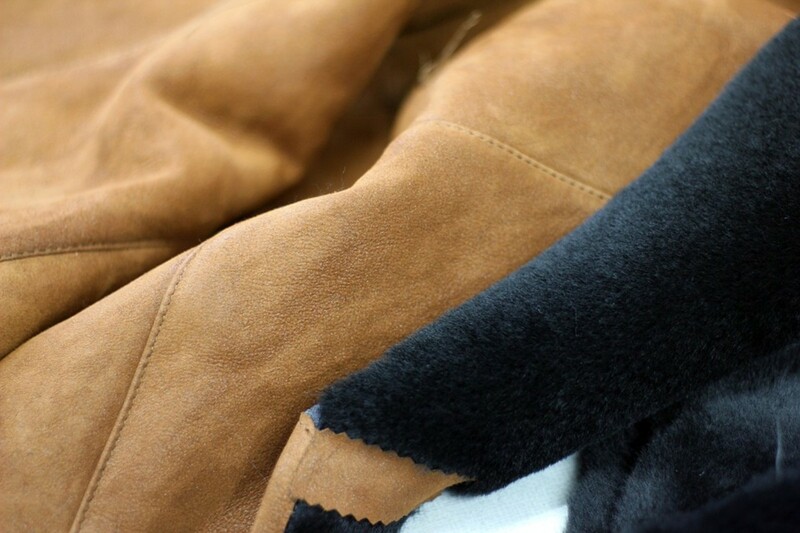 Suede/leather is made from the underside of the skin of animals such as lamb, goat, calf and deer. Whether you choose real suede/leather or an alternative fabric giving your suede a little TLC will bring you years of wear. I'm with you. I only wear suede alternatives. The jacket I display at the beginning of this hub is a suede substitute as I throw it in the washer and dryer and it comes out like new. I like that it's nice and light as opposed to suede which is heavy. Thanks, my friend and enjoy your weekend. After reading this I think that I would only want the suede alternatives and not the real thing because of them being much easier to keep clean. I have had suede shoes in the past but none currently. Thanks for these tips on how to clean and care for suede should I ever be tempted to purchase some. Great to see you and appreciate your taking the time to read and comment on my hub. It was starving for some attention. It's so nice to hear that my tips on how to care for suede are useful. Suede is beautiful and always classy. And as you have pointed out, maintaining suede is slightly tricky. Very helpful! Now off to clean those blue suede shoes! This is really very informative and helpful hub for Suede lovers! My family loves Suede coats and shoes. Maintaining them whether coats, pants, jackets or shoes is slightly tricky. Thanks for sharing the useful tips! Voted up! Great Hub! I've always loved suede, and I have a leather sofa that needs some attention...car seats too.Thanks! mike - It's really a matter of preference I usually like the lighter hues. Mixing the dark and light works too. Thanks..
when u brush suede with your hand and you go back and fourth what suede gives you the best pattern change when suede goes from dark to light . I've never really had much success at cleaning suede and now I know why, I was doing it wrong. Thanks for the guidance on who to clean and care for suede. I'm looking forward to another of your articles, especially on shoes. My feet can only "live in" shoes such as Birkenstock which features a nice padded arch, or Alegra (sp) brand. I wonder if Birks make boots. How fantastic that would be. The "prelude" to your nominated hub about pearls is an example to writers who are weak with "introductions" (including me). Thank you for taking time to leave a comment. I appreciate it. Thanks. Appreciate your commenting. Love your hubs! Great tips for cleaning suede! yellowstar2000 - If you dont have a suede eraser, just use the eraser tip on a pencil. Works great! Thanks for stopping by. I've never heard of a suede eraser before! thanks for the great tips!!! Prasetio - Thank you very much for commenting on my hub. Nice hub and good information. Thanks for share with us. I really enjoy your tips. Good job. Thumbs up for you! I appreciate your taking the time to stop by and to comment. Have a very nice day. I love suede and thank you for all your good tips.